Some of the content on RoyalHunt.com is free to our visitors and does not require the collection of any personally identifiable information. This site only collects personal information from our visitors on a voluntary basis. RoyalHunt.com is a fan-oriented website for Royal Hunt and related products. By accessing this website our visitors can experience much of our content free of charge. At RoyalHunt.com we are committed to protecting your online privacy and the safety of all our website visitors. We do not require our visitors to disclose more information than is reasonably necessary to participate in an activity. The following policy describes how RoyalHunt.com collects, protects, and uses information it receives from visitors to the website. We recognize the importance of adhering to the highest standards of decency, fairness and integrity in the operation of this website and are committed to providing quality online activities and information to all visitors. Remember, never give out your full name, home address, email address, telephone number, or any other personally identifiable information that would allow any other online user to contact you either online or offline. RoyalHunt.com encourages children to consult with their parents before submitting any information to any website, including RoyalHunt.com. However, we believe parents should be involved in the online activities of their children and suggest that parents do their best to provide their children with a safe and friendly online environment. Some of the products and services on our site are offered without collecting any personally identifiable information from you. You may surf most of this site and its content anonymously without giving out any personally identifiable information. RoyalHunt.com only collects personal information from our visitors on a voluntary basis. We don’t require any personally identifiable information to obtain access to the area of the site that is free to the public, and only collect personally identifiable information such as first and last name, mailing address, email address, telephone number, gender and date of birth when visitors register to join RoyalHunt.com. members only section of the site or to receive promotional information from us or enter a featured sweepstakes or contest where such information is required. Personally identifiable information is collected from our members and is used to fulfill requested transactions (such as shipping merchandise) and to provide special offers and services through newsletters, mailings and emails by us. Personally identifiable information is only collected from children under 13 years of age with verifiable parental or guardian consent for the purposes defined below. If you purchase a Royal Hunt merchandise, we may also collect a credit cardholder name, cardholder address and card number, street and billing address of any purchaser. 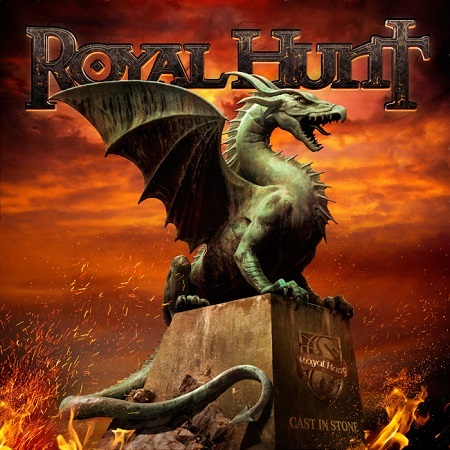 Information provided at the RoyalHunt.com website may be shared with Royal Hunt and their management, representatives, and any existing or new record label they may join. We are not responsible for how Third Parties handle the data once they receive it. When we have co-branded or sponsored services, when we host a site, or when we join with other parties to provide specific services, we may share (provide or receive) your personal information with them. Online visitors, including children under the age of 13 and/or their parents, who no longer wish to receive our promotional materials or would like to unsubscribe may opt-out of receiving these communications by sending us an email entitled “unsubscribe” to info(at)RoyalHunt.com. RoyalHunt.com occasionally offers contests and sweepstakes to the general public, but does not condition participation in an activity on disclosing more personally identifiable information than is reasonably necessary to administer the activity. When you enter or participate in a contest or sweepstakes, we request personal information from you (such as your full name, mailing address, email address, telephone number, gender and date of birth). The information you provide is used for the purpose of conducting the promotion (i.e. identifying winners). We may also use this information to send you newsletters and other information we think may be of interest. Recipients of our mailings can unsubscribe by sending an email to info(at)RoyalHunt.com. RoyalHunt.com has taken steps to make all information received from our online visitors as secure as possible against unauthorized access and use. All information related to this website is protected through proper security measures, which are periodically reviewed. The information, ideas or opinions posted through this website do not necessarily reflect the views of RoyalHunt.com. We shall not assume responsibility or liability for any postings or for any claims, damages or losses resulting from their use or appearance on this website. We will sweep its message boards periodically at its discretion. We do not allow postings that contain: (1) profanity or obscenities; (2) private or personal information that identifies a user or another person; (3) slanderous, defamatory, threatening and harassing comments; and (4) other information that RoyalHunt.com believes is inappropriate. This message board may only be used for noncommercial purposes. Users may not post any information intended to promote or generate revenue for themselves or other third-party businesses. We remain committed toward providing our users with the best service available and will maintain reasonable procedures to protect our message boards. We reserve the right to edit, delete or refuse to post any messages that violate its policies and does not endorse the accuracy or reliability of the content posted by its users. By submitting a posting on RoyalHunt.com message board, you agree to hold us harmless from and against any breach of your representations, warranties or undertakings. RoyalHunt.com encourages participants not to post personally identifiable information on the Message Boards and retains rights to remove any personally identifiable information that may be posted.